Isotherms, or lines of equal temperature. These were on the charts previously, however they are now more prominent and at intervals of 5C. They are coloured green, but the 30C isotherm is brown, the 0C isotherm is dark blue and the -30C isotherm is purple. This gives a quick way of finding hot, cold and very cold areas. Humidity. Areas of high humidity (>85%) are shaded light green - look in these areas for rain or (if the temperature is below zero) snow. Areas of low humidity (<15%) are shaded light yellow. Note that for ocean charts only plots and isobars are shown because of the lack of temperature and humidity observations. 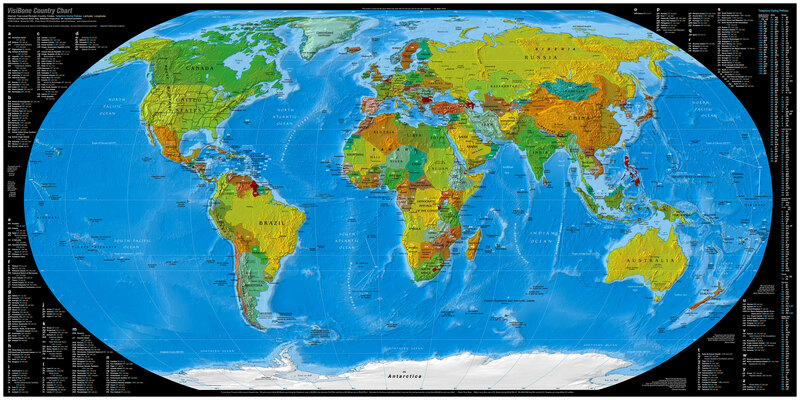 The Australian Weather News synoptic charts give you 67 huge maps covering the entire globe with particular emphasis on Australia. They are updated hourly with detailed weather information for thousands of locations. Each chart also has its own special home page, including a 24-hour archive for hourly maps and a one-month archive for more detailed charts produced four times a day. Help pages and on-screen diagrams make it easy to understand the plotted weather information, and the regional variations in weather reporting around the world. 1. After you've read the rest of this blurb, use the menu at right to select an area. Check the UTC time that appears on the first screen. 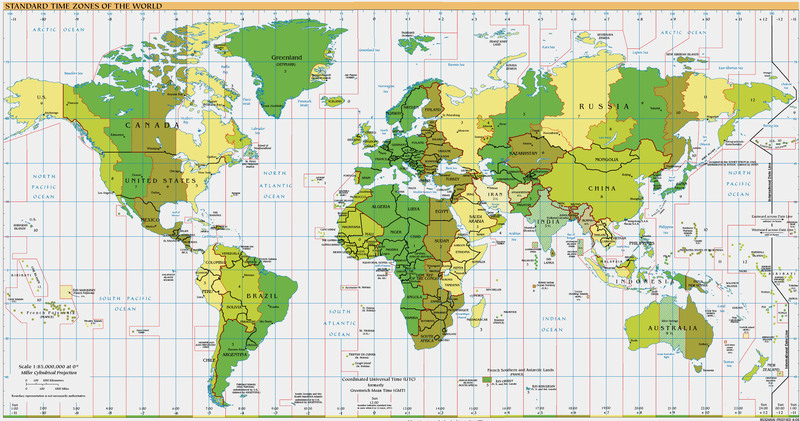 It's the time used by all charts to avoid you going crazy with a squillion time zones. Firstly, you have three sets of menus to other charts and documents. Menu 2 lets you jump between high scale areas on the current continent. Clicking any link in menu 1 or 2 brings up the home page for the new chart. Menu 3 lets you access help documents and cheat sheets, or go back to AWN's home page or this general chart index page. Menu 5 is for archive charts - 4 or 8 charts for each day for the past month. These are better than the hourly charts because they have much more detail. Clicking any link in menus 4 or 5 opens that chart in window 6. 3. When the chart opens (drum roll), the first thing to do is to check the "GENERATED" time/date/month in the top left corner. Make sure you are not looking at an old chart! Check that the GENERATED time/date/month is later than the chart you're expecting. For example, if you are looking for today's 13UTC chart, check the time is after 13:00 and the date is today. The charts become available anywhere from 15 to 50 minutes past the hour, so the new chart may not have been uploaded yet. Also, heaven forbid, things do occasionally go wrong and a chart may not be produced at all. 4. (Nearly there...) The chart will show the familiar pressure lines (isobars) in red, similar lines for temperature (isotherms) in green, and also grey wind streamlines. Most important, though, are the station plots dotted all over the map. These are what make true synoptic charts special. Each plot gives a detailed description of the weather at a weather station in a plot that would fit under a 5c piece. Template 7 is always to the left of the map to remind you how the plot is laid out. If you're a first time user or need more detailed information, check out the General Chart FAQ & Tutorial. If you have any comments on, or suggested improvements to, the maps, I would greatly welcome feedback. Australian data is provided by the Bureau of Meteorology. International data used are the publicly available coded synoptic and aviation METAR reports produced by national meteorological agencies and distributed over the WMO GTS. The synoptic reports are used subject to WMO Resolution 40 (Cg-XII) which reduces the availability of freely usable data from some countries, mostly in Europe.